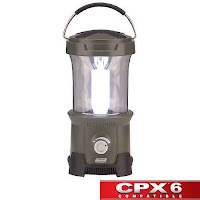 That's right folks the outdoor blogger scene is ripe with more giveaways. Today I've got 4 different giveaways from 4 different blogs/sites. In the leadoff position is SectionHiker.com. 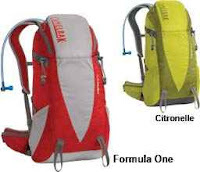 Earlylite is giving away a Camelbak Highwire 25 Hydration Pack that he reviewed just yesterday. Details: To get in on this giveaway comment to the giveaway post with a haiku that at least includes a form of the word water (i.e. snow, ice, water, etc.). You only have until midnight tonight Pacific Standard Time so get those poetry gears turning quickly. On deck, Gear Talk with Jason Klass. Jason has a nice little cache of Gossamer lightweight gear including a Thinlight sleeping pad, a medium polycryo groundcloth, and a Lighten Up DVD. Details: To get in on this giveaway, head over to Jason's blog and leave a comment with your favorite nature quote to the giveaway post. You have a little time with this one but not much. Jason will be randomly selecting the winner at 6:00pm MST on March 11th (tomorrow). So don't dilly dally too long or you might be left out in the rain. In the hole is the Hiking Lady giving away a High Peak USA Everest 50+ 10 backpack. 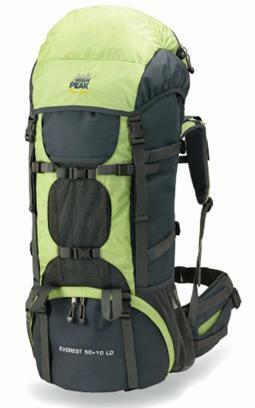 After her review of the pack, she's teamed up with High Peak to give one away. Details: To get in on this opportunity head over to the Hiking Lady's blog and follow her link to High Peak's facebook page and post to their wall the text that the Hiking Lady says to put up there. You have until March 14th to get your name in the drawing. Batting cleanup is Daily Hiker's T-Shirt Giveaway. The Daily Hiker is giving away one of their newly designed t-shirts to the person with the best lake photo. Details: For your chance to win the newly designed Daily Hiker t-shirt, submit your best lake photo to the Daily Hiker via email at shirts@dailyhiker.com. The pic must be in jpg format 1500x1500 max size. Sometime next week, they will post the 10 best photos and pick what they deem to be the best photo as the winner. Rounding out the order is another wonderful gear review opportunity from Rebecca and Joe at the Outdoor Blogger Network. 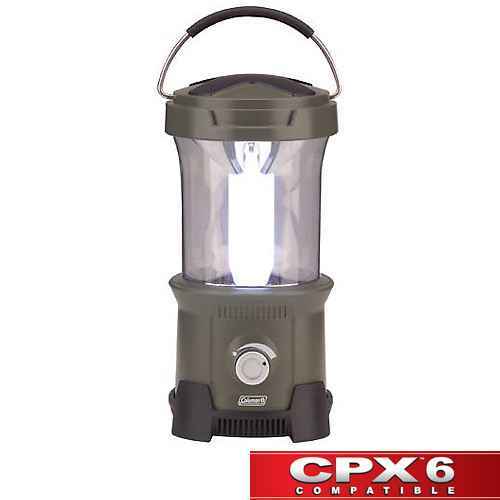 This weeks opportunity is the Coleman CPX 4D Hi-tech LED Lantern and Coleman CPX 6 energy pack. To top it off they are giving away 3 sets total to 3 different bloggers. P.S. If you know of or have a gear giveaway, drop us a line at appalachiaandbeyond at gmail dot com and we will be sure to give it a plug. I think we will be posting gear giveaway roundups as often as the opportunities present themselves. Oh and if you haven't noticed, baseball season must be getting ready to start.